Have you ever given thought to the concept of living forever? Do you think it is even possible that some animals or plants can live forever? Well, science has recently revealed a few rare organisms that do ‘live forever’ in the sense that they do not die of old age. Biological immortaility is the term for it and here’s the science bit: as normal cells that make up an organism duplicate, the ends of the chromosomes in the DNA (called telomeres) shorten until they start to falter, which results in old age and ultimately death. A few rare organisms are able to, seemingly miraculously, maintain telomere lengths, meaning they do not sucumb to the perils of old age and therefore live forever (assuming they are not killed by injury or disease). This is hot research in the world of biochemistry and genetics for understanding human longevity. While this research is going on, let’s take a look at five animals or plants that have already reached the exhalted status of immortality. 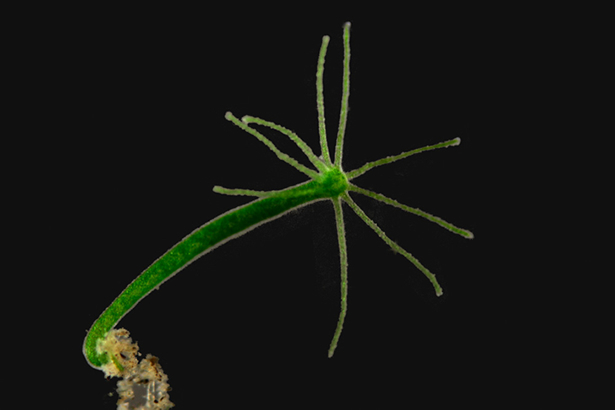 The first organism that doesn’t suffer senescence (meaning “to grow old”) is the Hydra, which is a genus of small, fresh-water animal that inhabits temperate and tropical regions of the planet. Many hydra reproduce asexually, meaning they do not mate, which results in offsprint that inherit the same genetic information as their parent hyrda. Hydra stem cells have a capacity for indefinite self-renewal and the transcription factor, “forkhead box O” has been identified as a critical driver of the continuous self-renewal. This has lead to much research being done on the mechanism behind this process with a view to understanding how future scientists might reduce or even eliminate human senescence.